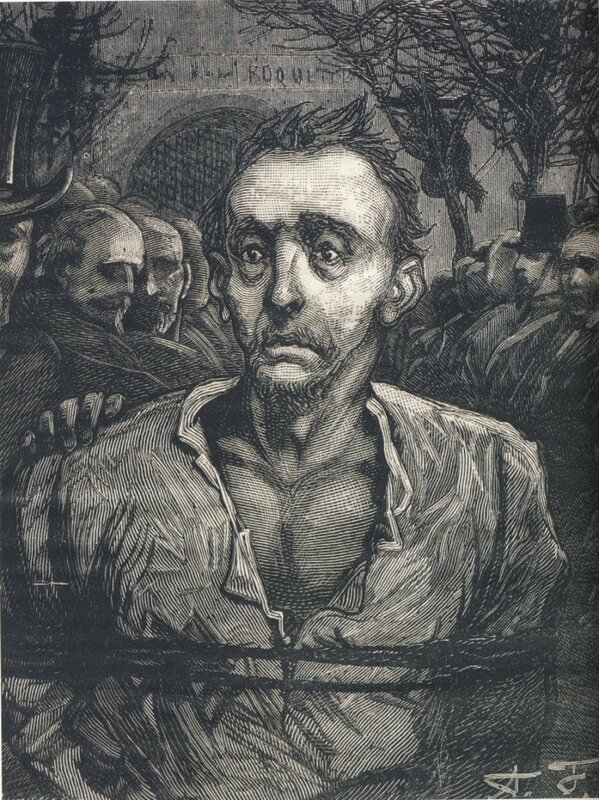 Outside Paris’s La Roquette prison this morning in 1870, mass murderer Jean-Baptiste Troppmann was guillotined for the sensational butchery of a family of eight. Katherine Taylor’s In the Theater of Criminal Justice conceptualizes Troppmann‘s crime and trial as a test case for the evolving public performance of justice. 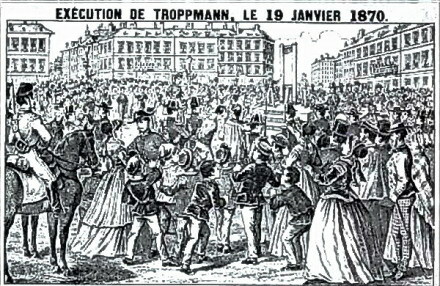 The Alsatian-born Troppmann, or Traupmann (French Wikipedia page | German) was apprehended trying to catch a ship for America shortly after a murdered woman and her five murdered children were discovered on the Plaine de Pantin on the outskirts of Paris. Troppmann had last been seen accompanying family father Jean Kinck on a business trip from which the latter was destined never to return … and it soon came to light that Jean Kinck had been the first of Troppmann’s victims, followed by the eldest son, interspersed with letters written to Kinck’s unwitting widow requesting bank transfers in the name of his deceased business partner. As a judicial matter, this case was open and shut; Troppmann was convicted three months after his arrest, and went under the blade three weeks after that. But the immense public fascination he generated would be a milestone in the development of the French tabloid press, which did brisk business* stoking the lucrative hysteria. Small wonder such a staggering throng assembled for the dawn beheading — assembled even from the previous evening, to catch a glimpse of the grim apparatus being assembled for the next day’s play. Among the multitude were various intellectual worthies, including the liberal Russian author Ivan Turgenev. His subsequent “Kazn’ Tropmana” (“The Execution of Troppmann” — the link is in Russian; I haven’t found a full English version), which includes meeting the remorseless prisoner and witnessing his pre-execution “toilette,” reflects the writer’s discomfiture with Madame Guillotine. Too appalled to watch the beheading, he turns away and narrates its sound. Although Troppmann’s name appears on some lists of serial killers, his eight homicides do not fit the term’s usual definition of a compulsive pattern of murders spread over time. 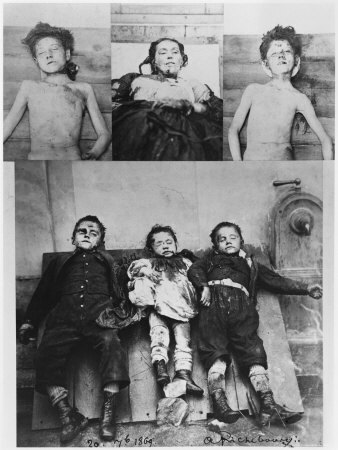 Troppmann’s blood offerings were meant for no other idol but Mammon.